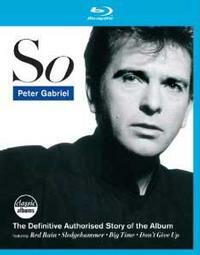 So was clearly the album that broke Peter Gabriel into the mainstream. This documentary looks at the process involved in creating that classic album. It goes into a lot of detail and includes a lot of insider interviews. I’d say this, like most of the releases in this series, is great. I mean, if you are a massive Peter Gabriel fan, you’ll probably wish they had gone into more detail or interviewed more people. Really, though, to please some of those folks, you’d need to make a five hour documentary. I think this does a good job of balancing the idea of getting in-depth and also creating something that flows well and doesn’t get tedious. There are over half an hour of bonus interviews outside the main film, too. I’d say this is a pretty great documentary, all in all.